Love your blues? Then this is THE hat for you. 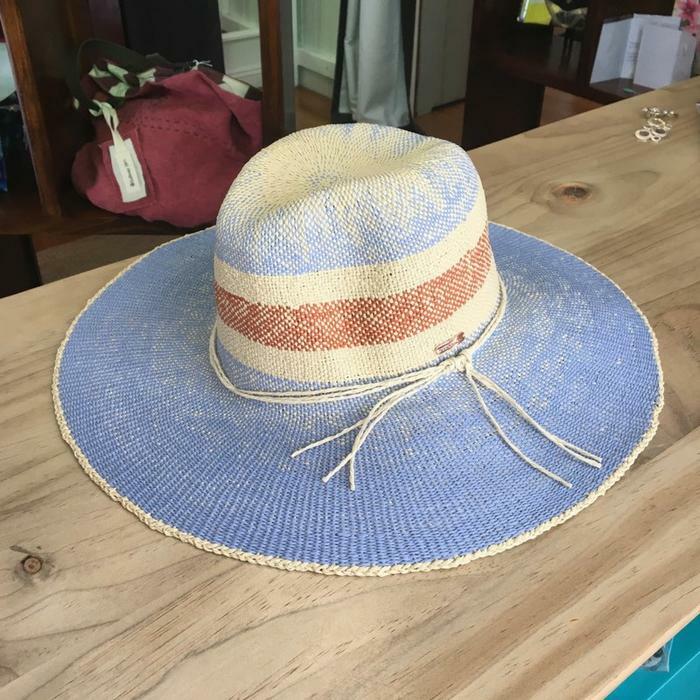 In a gorgeous 'washed' blue and caramel with highlights of white, it's such a lovely summer hat with a wide brim for extra sun protection. Think beach wedding, poolside lazing and long beach holidays. Team it with your kaftan for those BBQ days and beach wedding affairs and bathers for the pool or beach. Gorgeous aqua blue print in the crown - stunning weave! Internal elasticised band sewn on the inside of the crown to help keep it on place and on!